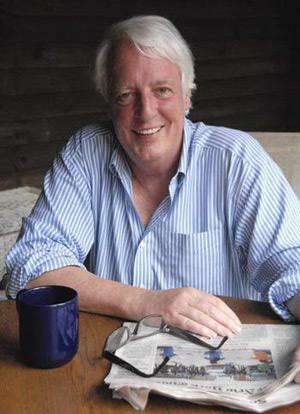 Joe McGinniss dead at 71: My friendship with the true-crime author and political journalist. What I learned from political journalist and true-crime author Joe McGinniss. Author Joe McGinniss, who died on Monday. The path to Alaska’s most infamous home ended at a “No Trespassing” sign and a heavy chain. Joe McGinniss, holding the cellphone he’d been using to give me directions, walked to the makeshift gate and pulled it back. I’d brought some salmon, he had a grill, and we planned to eat dinner while the sun set on Wasilla’s Lake Lucy. McGinniss, I figured, knew exactly what he was doing. One month later, I resigned from a reporting job after mean emails I’d sent to a listserv were leaked. More than a few conservatives remembered that I’d sided with McGinniss over Palin. McGinniss remembered, too. When I used some of my unexpected time off for a personal trip to Alaska, McGinniss invited me to come see the house, and to stay over if so moved. The house, as other guests would report, was comically close to Palin’s. Alaska’s first family had built a grand home that filled much of their lot, and put up a fence with the braces pointed toward their neighbors. By the time I got to Wasilla the Palins had tacked on extensions that raised the fence 14 feet high. From the porch or the dining room you could see over into the yard. McGinniss didn’t care. He was half rattled, half amused by the campaign against him, after he’d been so kind as to hand-deliver a copy of his book about Alaska to the Palins’ front door. So we talked, and quickly got bored with the Palins. McGinniss told stories about the golden age of magazine journalism, how he’d gotten unthinkable contracts for travel stories. How his true-crime books sold, but his passion project about an Italian minor league soccer team hadn’t. How the Palin book, hopefully, would. He pointed out where he’d be running cable to watch the World Cup and (politely) argued that the salmon a friend had caught was better than the stuff I’d bought at Wasilla’s Walmart. I didn’t dispute him. I didn’t stay the night, but returned in the morning to meet McGinniss at a diner. My source had unexpectedly become a friend. Palin’s fans were outraged, just as McGinniss expected. Breitbart.com published an email that purportedly showed McGinniss telling a source that he needed more proof before putting a story in the book. “My reporting continued beyond the date of the email,” McGinniss told me, going on to mock his critics and attach a few more examples of how he went back and forth with sources who teased scoops or demanded money. Weeks later, when Palin announced that she wouldn’t run for president, my friend who’d spent a year of his life researching this subject sent me a terse email: “No surprise. Glad the show is over.” He moved on from politics, happily so, returning to true crime stories and eventually re-reporting the Jeffrey MacDonald case for a lengthy e-book. From time to time he’d email to criticize some horse race journalism that he found particularly stupid. What I didn’t know, what McGinniss didn’t reveal until January 2013, was that he spent most of the election year being treated for advanced prostate cancer. He headed to the Mayo Clinic, where a doctor named Eugene D. Kwon introduced him to a just-approved, miraculous-seeming drug called ipilimumab. McGinniss reacted to this in the only reasonable way he knew how: He pitched a book. Last May, he sent me some passages from the proposal. McGinniss died yesterday, before the story could be told the right way.